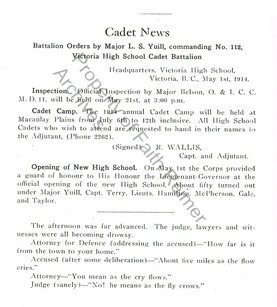 Cadet News of March 1914: announcing Victoria High School Cadet Corps scoring marksmanship test for Cadets at Cloverpoint. 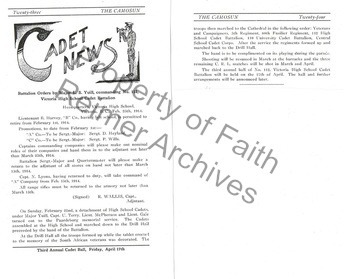 The March issue of the Cadet News of 1914: Informing the students about promotions and the upcoming Cadet Ball. Cadet News of May 1914, marking the opening of the new school and the up-coming Cadet Camp. 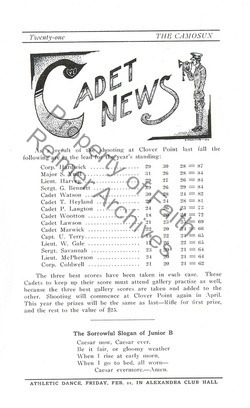 The November Issue of the Camosun, with promotions, and announcing a teacher leaving to fight in the war. 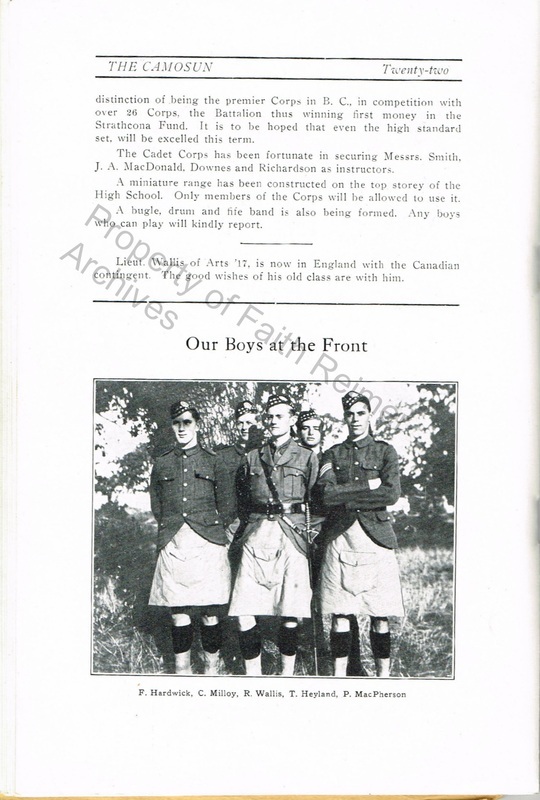 Second part of The Camosun issue for November with a picture of Victoria High School boys at the front.